Early blogs were on the fringes. Starting in an environment when most websites were hard coded and published as static entities, until republishing some years later, the idea of frequently adding new webpages (web blog = blog) was something that attracted two groups. The nerds, or the folks with enough technical savvy to create and publish new pages with ease, found personal satisfaction in conquering technical hurdles and had professional motivation to demonstrate their ability to do so. The narcissists were so certain that their insights were so valuable, that they felt compelled to struggle through the publishing challenges to ensure that a needy public would be blessed with access to their musings. Over time tools improved and the ease of publishing rapidly improved. Niche topics and politics found outlets in opinion sites, and traffic and engagement grew. Blogging became mainstream among digital natives. It was an interesting trend to watch, but not one that got much attention in the industrial marketing space. Folks in that world were focused on manufactured products and the buyers that needed them in the real physical world. As a result they missed an interesting side effect. The nature of SEO and engagement changed - and their business development was impacted without them realizing. It's not that they dropped back - but rather that others leapt ahead. 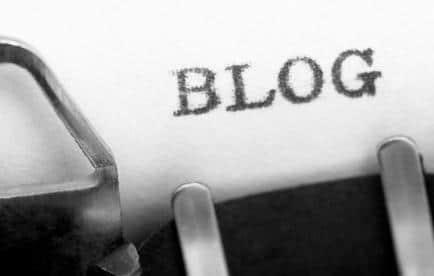 Nevertheless most B2B manufacturers eschewed the benefits of a blog. If you view the online world as one where folks enter a URL, hit a home page, and then navigate around a site, a blog is understandably low priority. But if you understand that the 93% of B2B purchases which originate with an internet search look for specialized information as part of a research process, then every "blog" post provides an opportunity to answer niche questions with authority and invite visitors deep into an industrial marketing website without ever hitting a home page. First is the hangup about the origin of how it started. Most execs at B2B manufacturing companies would jump at an invitation for an interview with a trade journal that was writing an article on a topic in which they have real expertise. Tell them that the article will also be on the journal's website and they'll be pleased. And give them the opportunity to collect leads from folks who read it and they'll be really excited. Now tell them to publish a blog post on their site and they've got about 197 better things to do. So let's just change the lexicon. Let's refer to articles. Let's talk about sharing expertise and providing thought leadership. Let's couch the discussion of blog posts in a language that's more meaningful and intuitive for folks so that we don't turn them off with terms which aren't material to the business conversation. Second is the presumption that you have to build a subscriber base to be successful. Sure it's great to have a cadre of subscribers eager to receive your post by email or RSS on a regular basis; and even better if they share it and promote it to their networks. But if you have a blog (or a section of your website with lots of articles to which you regularly add) without a single subscriber, there's still huge potential business value. If you're clear on your target buyer personas, and optimize your articles around topics and terms that are really important to them, you will attract visitors to your site that never would have known about you. That's a huge piece of successful industrial marketing. While you may keep a journal or enjoy writing poetry in your free time, any articles your write in the context of B2B revenue growth will have a commercial motivation. You're not just writing them for the love of the craft. You want folks who visit to be impressed with your insight and decide to dive deeper into what you have to say. So here's the critical step - help them take that deep dive. Make sure that every article offers opportunities for them to get more detailed information about a related topic. "Contact us" or "Call us" don't work. These people don't want to be harangued by a sales rep - but they'd probably love a whitepaper or eBook or video that provides more information. So make that easy and convenient - and use that opportunity to begin to build a relationship with them - virtually using email and insight into how they consume your information. 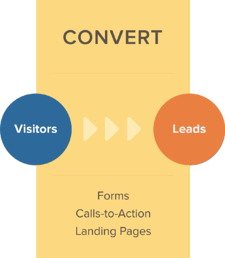 Convert your visitors/readers into prospects! Too many executives agree to mollify a marketer who says they have to have a blog on the website. So they put it there in the navigation, post a couple press releases, and then go back to work. That's worse than none. Honestly. But you can make it work - you can ensure that it drives revenue growth....if you execute consistently as part of a synthesized industrial marketing strategy. Download our free eBook to learn how.